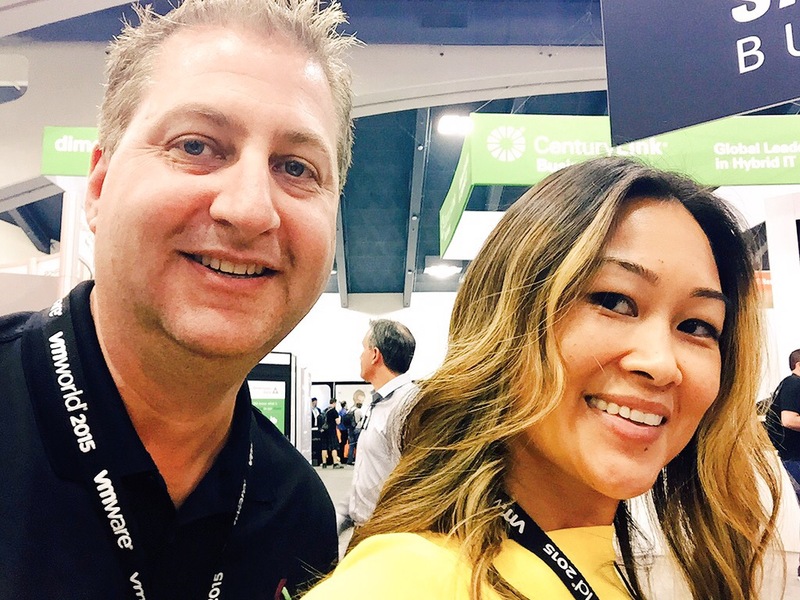 This year myself and co-host Theresa Miller @24x7ITConnect both attended VMworld 2015 and Tech Field Day Extra. While at the conference we were able to host a live stream of our weekly podcast #Current Status. Live streams are always fun because you never know what is going to happen, especially at a conference with over 23K attendees. We were also happy to have Justin Warren, @jpwarren from the land down under as a special guest co-host. Thank you Justin and though you brought us no kangaroos! In pure #Current Status style we even had glasses of adult beverages! 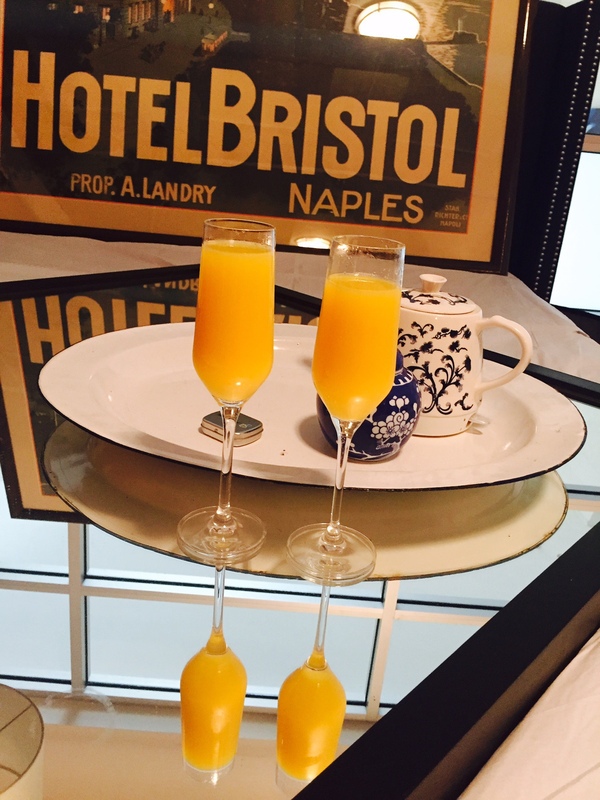 Given the time of day our live stream was at ( 11:45 am local time) we had mimosas instead of our traditional wine. None of the less it was a fun show filled with plenty of surprises guests. AND of course the famous Head Geeks from Solarwinds! If you read my earlier post about Tintri’s VMstore T540 you know that setting up data protection on the T540 is very simple. There is not much to it really just a few simple clicks and you’re replicating between applicances. 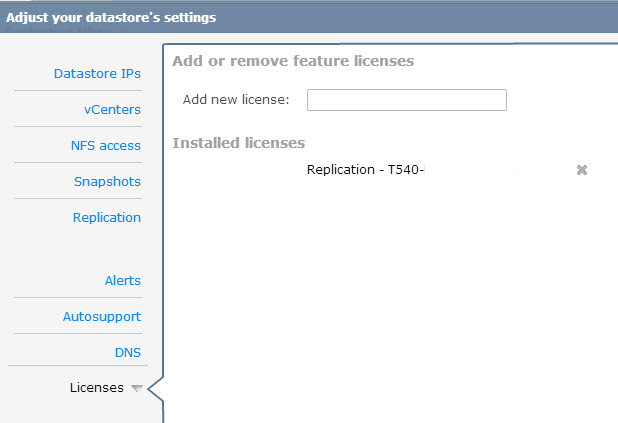 Once you set the Replication settings ( assigning the replicating partner and password) and add the purchased license on the appliance you are ready to configure the vms for protection. Follow the below settings to setup replication of a vm and restore it on another T540. You’ll find that it’s very simple to setup and takes just a few minutes. Find the Virtual Machine you wish to protect and right click and select Protect. 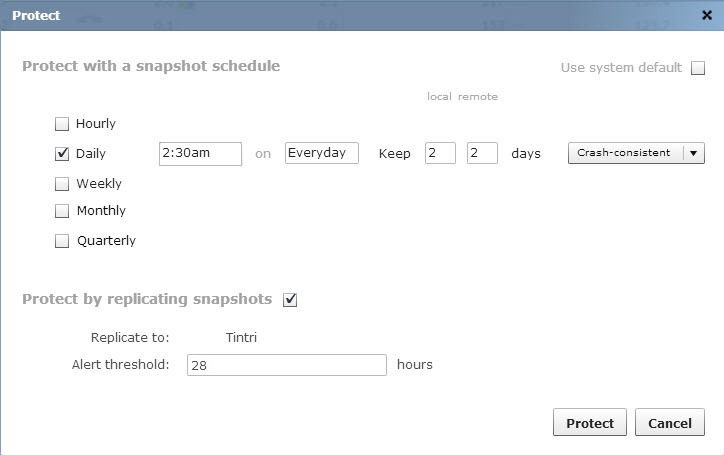 Select the snapshot schedule, retention period, and if you want the snapshot to be replicated and the alert threshold. When you are completed Click on Protect. 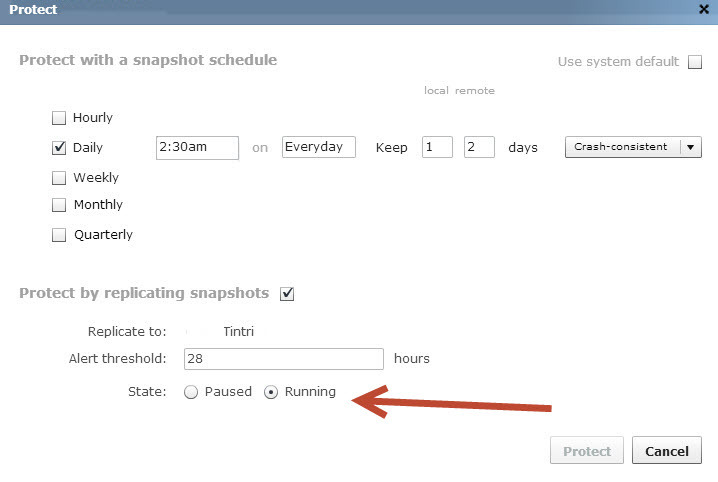 To verify the replication state, on the Virtual Machine list right click on the header bar and select Data Protection. This will refresh the Protection tab showing the replication state, schedule and retention. A listing of all the VMs will be shown. Click on Snapshots and this will lists all snapshots held on the appliance. Locate the snapshot you want to recover. Right click and select Clone. Create new Virtual Machine window will open. Fill out the required fields and click Clone. The window appear at the bottom right informing you that the Virtual Machine is being added to the inventory. Sign into vCenter and find the Virtual Machine that you just cloned complete any needed configuration changes and power on. It’s the storage wars. Lots of new vendors on the storage array market doing their dog and pony show, trying to get pieces of the pie over familiar giants like NetApp and EMC. Having managed NetApp for a few years I was comfortable with their Filers so why change? After spending a few years managing our VMware and it’s storage, our environment had grown and started to show some performance bottlenecks. We needed to find a solution that would meet the demanding IO needs of our VMs and support the HA and DR requirements for our datacenter. This is where we decided to think outside of the box and look at all the new players in the storage industry. We started doing research and eventually decided on Tintri and their VMstore T540 appliance. If you haven’t heard of Tintri before they are a flash based storage array that was designed just to be used for datastore use of VMs. It’s purpose in life is storing VMs ,making it run better and faster. The storage array is designed to not only meet the demanding IO needs of VMs but also reduce the complexity of managing the storage the VMs. The T540 not only met our requirements but also gave us simple storage management. Even though there isn’t very much to manage with the array it still offers features that were key to us such as NFS , hot cloning VMs, deduplication, compression and hardware replication. 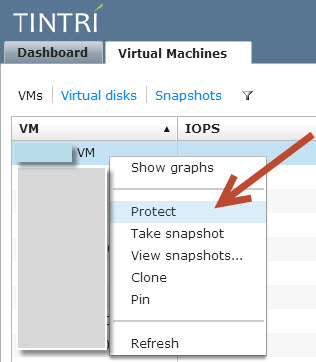 Tintri supports VMware vSphere 4.x and 5.x using NFS, RHEVand even HyperV. VDI deployments of VMware Horizon View and Citrix XenDesktop can also run on Tintri. From start to finish it takes about 30 – 60 minutes to rack the appliance ( dependent on how fast you can rack it) in the datacenter and connect to vCenter. There is very little day to day management with the T540. 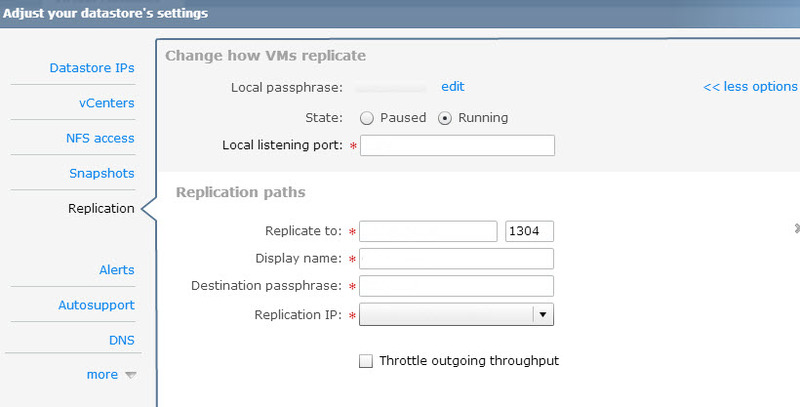 Tasks such as Hot cloning VMs and setting up replication takes minutes and is effortless. Once the T540 is racked you give it an IP address and you are off to configuring the appliance to connect to vCenter. The following screenshots of the appliance’s settings will show you how easy and simple it is to setup. Wow! I sound like an commercial for Tintri. There is no paid endorsement here, it’s just the truth, the thing just works and does a great job at what it was designed to do. It runs just like they say it does. To learn more about the Tintri and the their other products the VMstore T620 and T650 check out Tintri’s website.